Many pregnant women start suffering from leg cramps and back pain which makes it a challenge to find a comfortable position to sleep in. The perfect solution for a perfect soothing sleep is by using a pregnancy body pillow. These pillows will provide support for your back, neck shoulder, legs, your baby bump, in other words, your entire body. There are many pillows available for pregnant women but our pillows stand a class apart with their amazing texture and fine filling. These “C” shaped pillows are designed specifically to help pregnant women sleep in a half fetal position which is the best sleeping position especially for women suffering from back and neck pains. This will limit the movements while sleeping, and thus helping you get uninterrupted sleep. 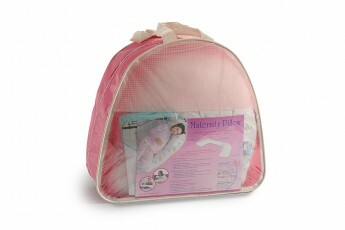 You can buy pregnancy support pillow and use them according to your needs. You can still use these pillows after you've had your baby as they can be used as a support for your baby while nursing or you can use it as a barrier on the bed to prevent you child from rolling over. You will not feel any sense of discomfort as they are perfectly shaped and filled with 70% down & 30% feather. The fabric used is 100% cotton cambric down proof which is ideal for women as well as infants. Moreover, they prevent any accumulation of germs thus maintaining the hygiene. Buy these pregnancy body pillows online and erase the feeling of being pregnant. You can look through our website or contact us for more details. Our products are very beneficial for pregnant women therefore widely appreciated all over the world. You can also avail these pillows online from homescapeindia.com at a very reasonable price. Payments can be made through credit card, debit card or payumoney. Free home delivery services are also provided to customers along with 30 days returns.